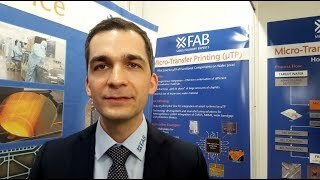 Quantum cryptographic key generation is unhackable ..
RISC-V, MIPS could use ARM platform security ..
Folding smartphones on display at MWC ..
AccelerComm releases soft polar coding IP for 5G NR ..
UltraSoC extends on-chip analytics architecture for the age of ML, AI and parallel computing ..
Consortium forms to develop and commercialise AI .. Robot development kit is highly customisable ..
Vibration energy harvesting system powers sensors ..
Waterproofing system removes the need for seals in next generation smartphones ..
Online tool helps identify areas of AI improvement .. Ten trends that are shaping the IoT landscape .. Active tracking drum scheme expands through Europe ..
Lowest cost RFID ICs suitable for a wide range of substrates .. Researchers develop thin sensor to detect magnetic fields down to 20nT ..
Samsung shows the future of digital signage ..
New transparent surfaces allow gesture recognition without visible optical systems ..
New robot can perform self simulation to learn and adapt ..
Rubbery semiconductor material has high carrier mobility ..
ETSI releases specs for Smart City context information management .. Double doping organic electronics boosts efficiency ..